Ok, we get it. Skateboarding these days is so 90s. Many of the decade’s questionable aesthetics have made a comeback: the prints are bolder, pants are getting wider, and the grainy VHS-look is featured in most of skateboarding’s visual output. The year is 2015 and skateboarding is occupied entirely by the 1990s. Well, not entirely… One small company of indomitable Frenchmen still holds out against the invaders. Öctagon, fresh out of France, has a futuristic art direction that really stands out against the current rush of nostalgia that permeates through the skateboarding industry. Öctagon’s output is very mysterious: they claim that le système Öctagon is an all-encompassing body of data that permeates throughout a wholly technologized society. They further claim that geography is nonexistent, and the Öctagon system is a body of data instead of a company. The corporate identity of Öctagon is that of a “totalitarian” virtual reality: as a result, interviews are held with Öctogon’s interview bot rather than a human being. This image is continued in the brand’s aesthetic: for instance, Öctagon has just released its first video, Surveyör, that has a distinctly technological aesthetic. Filmed in black and white, the cinematography always encloses the mostly futuristic architecture surrounding the featured skateboarders. The focus is thus not only on trick value but merges skateboarding with urbanity – a symbiosis which, after all, makes the sport so unique. Surveyör’s Razor-sharp images avoids the retrofictive rawness of contemporary skateboarding to show an almost dystopian world of steep concrete structures and security cameras, brought to life only by skateboarding. Without risking to drift too much into film analysis, it is safe to say that their first video is programmatic for Öctagon’s perception of skateboarding. 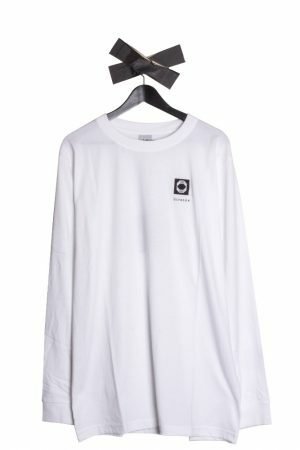 As for their products, Öctagon currently manufactures clothing and bolts. 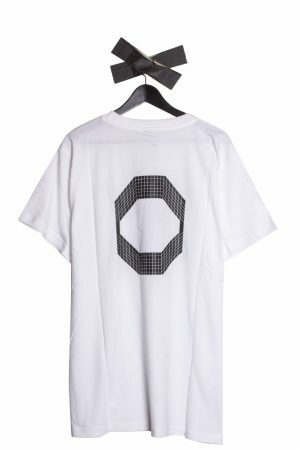 Their T-shirts, sweaters and hoodies are rather minimalistic and prominently feature the triple Öctagon logo. They are available in but two colorways, black and white, matching the brand’s overall aesthetic. The line was financially supported by Carhartt W.I.P., and as a result the quality of the clothing is superior. 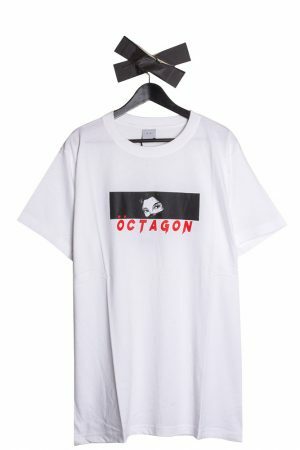 You can buy Öctagon clothing both in-store and online.